Relaxation, pampering, self-care, whatever you like to call it, it’s more than just the latest craze. I’m so glad it’s now recognised as a necessity rather than just being self-indulgent. I can’t promote it enough and of course it can mean different things to different people. Whether it’s exercise, a DIY manicure or losing yourself in your favourite hobby, doing something for you is so important. 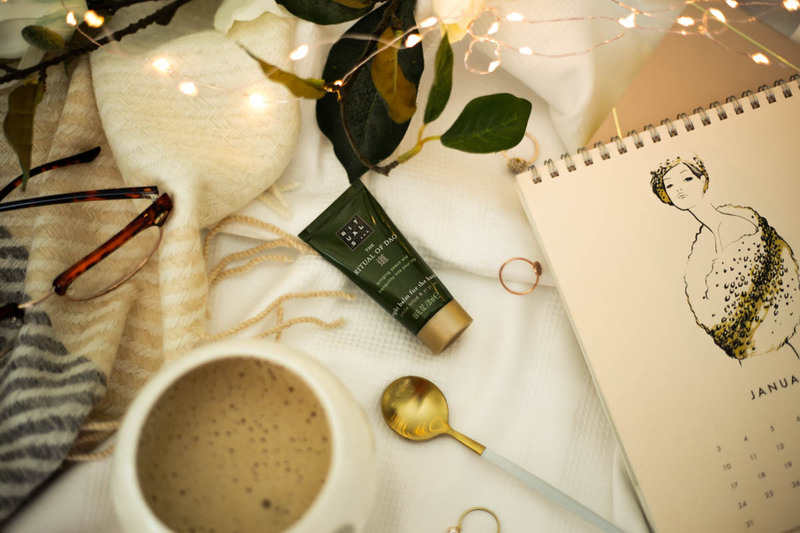 I myself equate self-care to those less active, relaxing rituals, the kind that help me wind down after a hard day’s work and here are some evening rituals I’m currently adopting to help me do just that. Some may call it gimmicky or even a tad unnecessary, but I’ve been intrigued by the concept of facial rollers for quite some time. In the end I figured it can’t hurt and went for this Rose Quartz Face Roller which I picked up from Sofia Latif. Whether it’s a jade roller or a rose quartz one, the concept is essentially the same – to soothe and relax facial muscles, improve blood circulation and aid in lymphatic drainage. Even better is that it helps ease tension and what’s wrong with a facial massage? I could just use my fingers, but the sheer prettiness and luxuriousness of it all compliments my beauty routine perfectly. 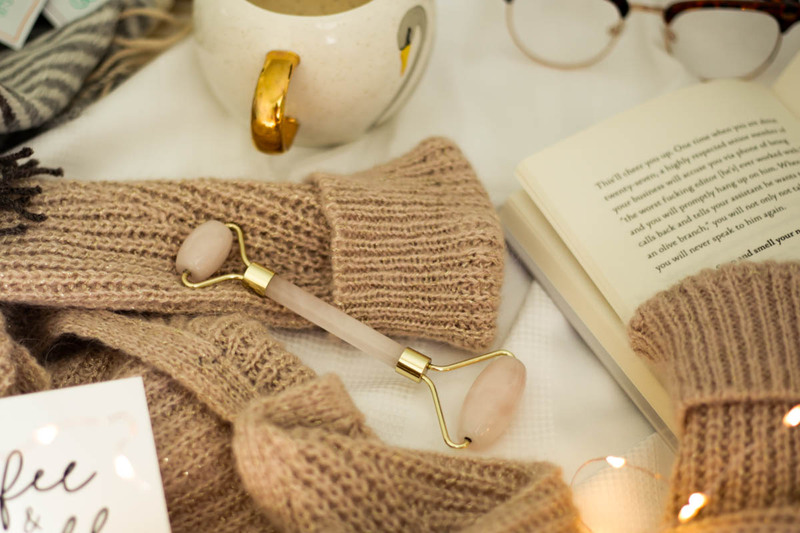 This facial roller is so incredibly cooling on the skin and also ideal to use in the mornings when you need that quick wake me up. However, I probably use this most in the evening though as it also helps facial oils and serums to absorb a lot better. Taking of facial oils and serums, it goes without saying that an extended skincare routine features heavily every evening. It’s when I like to use my more luxurious skincare – not so much in price but more in terms of formula. All those lotions and potions need to be put to good use so I tend to rotate items, mostly to use things up. At the moment, my skin is loving facial oils and an old time favourite is the By Sarah Organic Facial Oil * as well as the Lyonsleaf Facial Oil *. Both are super hydrating and nourishing as they are packed with natural and organic ingredients. Taking the time to really message oils into my skin, especially with my new facial roller is a great way to de-stress whilst looking after the skin too. It doesn’t just stop there though. The Rituals Hand Balm makes for a great overnight treatment for the hands. I also rub it over my cuticles to wake up with super soft hands in the morning. A slick of lip balm across the lips also works wonders and I find these extra steps calming and all contribute towards that all-important evening ritual of self-care. Ok so I can’t literally change my bedsheets everyday, but there’s nothing like that feeling of fresh bed linen. These bedsheets were gifted to me by Room to Sleep and I absolutely love that they are white with an elegant embossed pattern. Simple and chic. 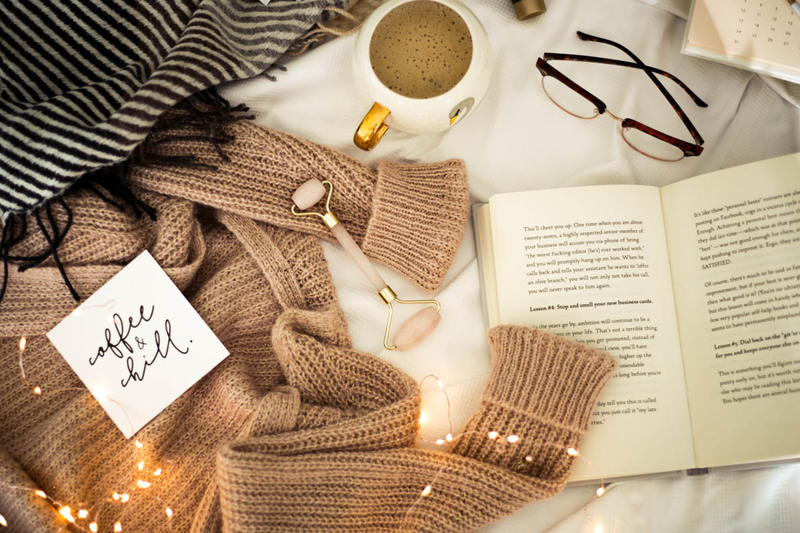 Making sure my bedroom has all my favourite things and dressing my bed with cozy throws and cushions is an important part of my ‘wind-down’ state of mind. I also love going for white bed linen as it goes with anything and is so Instagram worthy! I know you shouldn’t really indulge in anything caffeine related before going to bed but tea is my number one comfort drink. My evening really isn’t really complete without it. Of course I can’t resist pairing it with a sweet treat. I’m all about portion control so that little bit of chocolate, a macaron (when I’m feeling very posh) or a slice of cake I always regard as a well earned treat. I’m a self-confessed day-dreamer. I love drifting off into another world. I was given these Space Masks * to try quite a while ago and why it took me so long to finally try them I really don’t know as these are truly amazing. 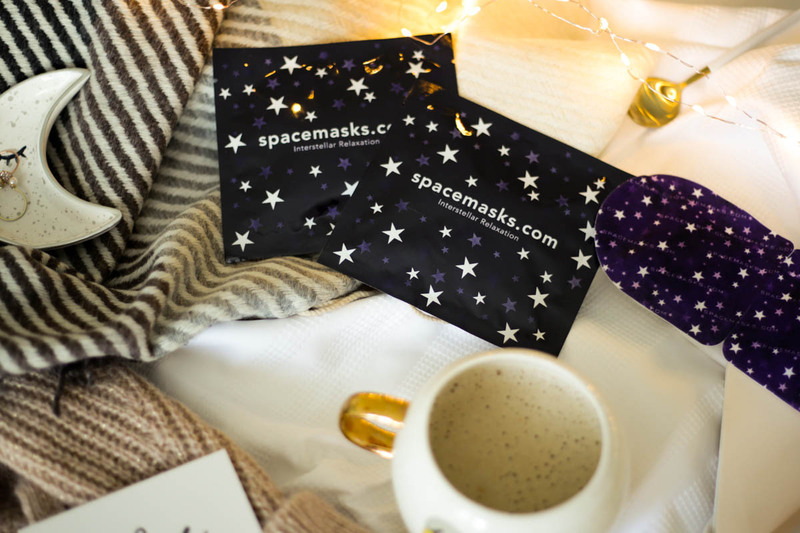 Designed in the shape of a sleep mask and equipped with loops to pace behind your ears, the Spacemasks are infused with jasmine and heat up within minutes of application. The warming effect really helps you drift off whilst soothing the eye area at the same time. I needn’t worry about any irritation either as this only contains a low concentration of jasmine. All I literally do is sit back, relax and forget all earthly distractions – it doesn’t get any better. Of course I’m also a fan of the more conventional face masks too and I’ve got quite the selection. You can also read about my other favourites in this Skincare post. During the week I have this set time of 9pm every night which is my time to sit in front of the telly and catch up on my favourite series. Whether it’s The Bake Off (now finished), Made In Chelsea (yes I watch that) or just a re-run of Friends (I don’t think I’ll ever get tired of it), it really has become my evening ritual. Again, it’s that time when I can really just switch off. And on the subject of pure escapism, nothing does that better than a good read. 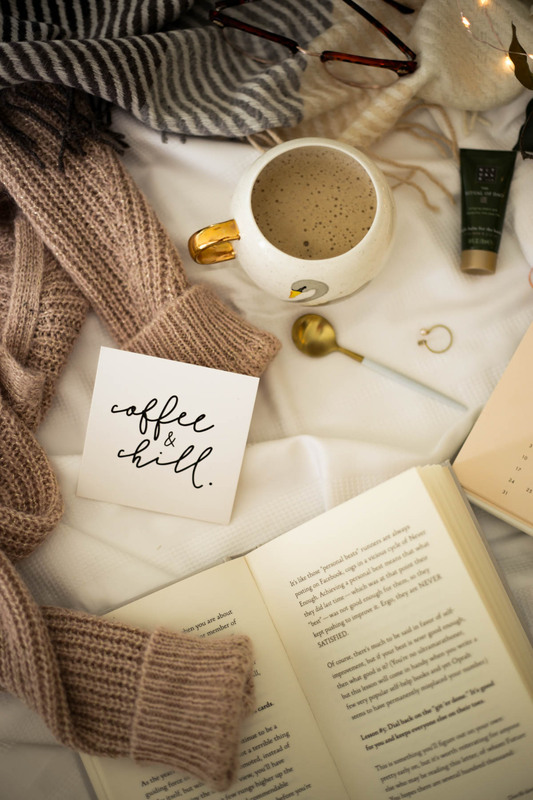 I must admit though, I’m currently struggling to find that book that I just can’t put down so if you have any recommendations I’d love to know as this is one evening wind-down ritual I really want to get back into.